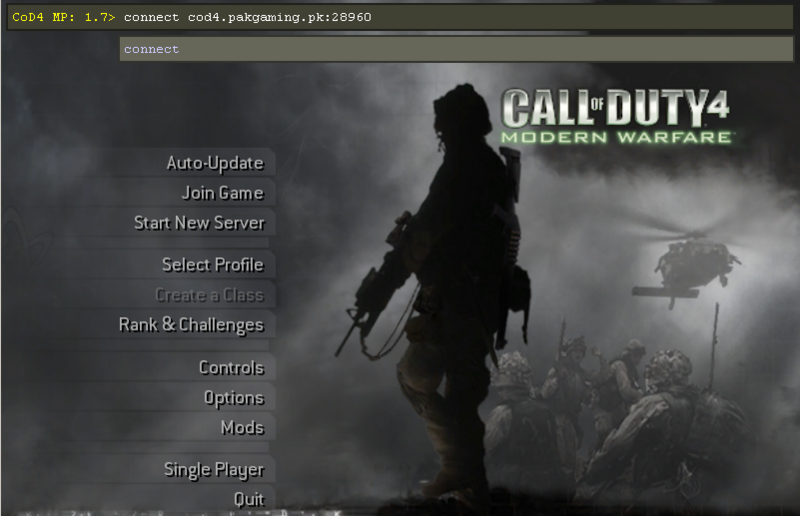 Call of Duty 4: Modern Warfare features team-based and deathmatch-based multiplayer modes on various maps. Each mode has an objective that requires unique strategies to complete. Players can call in UAV reconnaissance scans, air strikes, and attack helicopters, when they achieve three-, five-, and seven enemies kill streaks respectively. No Need to logged-in to access servers!